We live in the digital age but on special occasions there is nothing quite like opening up the mailbox to find a physical reminder of how much you mean to someone. But going to the store, getting a card and going back to the post office to mail it might not be doable for every busy mama. Luckily, Artifact Uprising is helping spread the joy of Mother's Day by letting us easily create and send custom photo cards directly to our mothers or fellow mothers—for free. The photo goods company is letting people send free custom Mother's Day cards to addresses within the U.S. And if you've got more than one mama you want to make happy don't worry, you can send up to four of these beautiful flat cards! 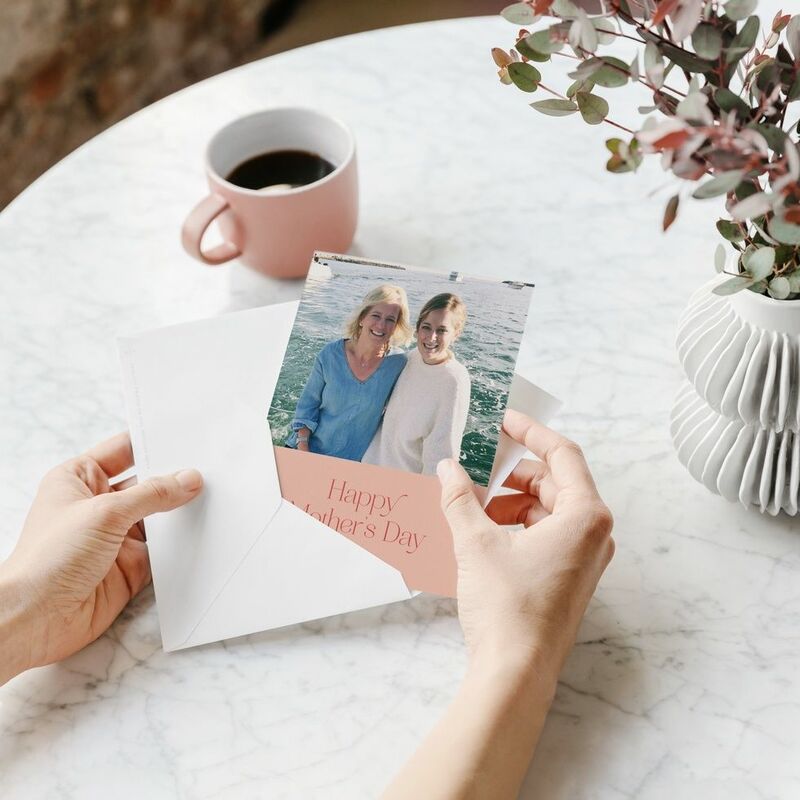 "I can only imagine how many mothers will have their mornings made by holding a photo card paired with a meaningful note," says Artifact Uprising's brand director Laura Schmalstieg. Get your design in before May 1st to get the 5 x 7" flat card mailed in time to reach the recipient on Mother's Day, May 12th. If you need more than just a card, Artifact Uprising also has a big Mother's Day deal coming up: You can get 15% off all purchases from April 25th to April 30th, or 20% off is you spend $200 or more.